While there�s a single player mode, it is mostly used as a practice mode for the multiplayer world of action, lots of it. All the matches you are looking for like Time Trial, Defend the Flag, Capture the Flag, Death Match and Campaign are all here. 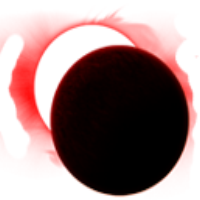 Unique to Red Eclipsed is Bomber Ball, a variation of Capture the Flag wherein you have to carry a bomb to your opponent�s base before it goes off. While running and shooting are your primary objectives, the game has numerous mutators and power-ups that make it even more interesting. These include a jetpack, Instagib (one shot will kill) and more. As you might expect, Red Eclipse comes with a lot of weapons such as a rocket launcher, grenade, pistols, plasma guns, rifles, shotguns, and more. True, it is based on Cube Engine 2, but the developers have added several tweaks and refinements to make it even more visually impressive. The shadows, highlights and explosions are very good. One more thing can be said for Red Eclipse, and that it is very fast. Even if your computer just has average specs, you won�t experience any lagging, and this says a lot about how much development went into the game. Advanced gamers take note that the game comes with an editor so you can create more maps in addition to the ones already included.